It is important to understand that cooking gluten free meals is neither expensive nor difficult to prepare in India where many gluten free grains are grown, are available and have been traditionally used too (many of them are used during fasting). Additionally, a large part of the cooking process does not need to be altered as most of the food preparations (like daals, vegetable dishes etc.) will hardly involve any change in the cooking style. However, working with unfamiliar flours and providing a safe gluten free meal to the child is a concern for all celiac families, especially the new ones. We have tips for you for to begin cooking gluten free. 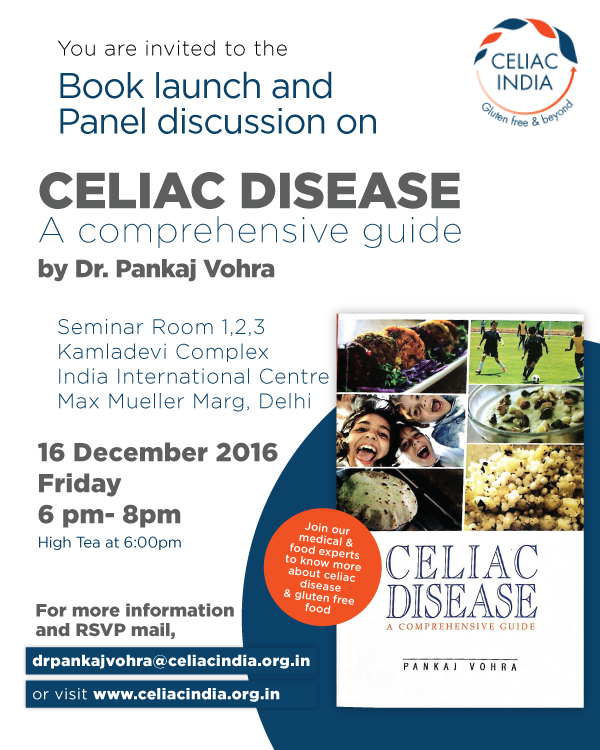 The newly diagnosed could read more about celiac disease and gluten free diet in the section exclusively for them. Identify and procure gluten free grains, flours and spice powders. Start with a fresh batch of oil, ghee, butter, spices etc. as the ones already in use might have been contaminated with gluten. Buy a separate set of utensils – for preparing rotis, baking, toaster and a grinder – to begin with for preparing gluten free food. Learn about gluten free ingredients and understand about food labeling. Look for recipes for gluten free rotis and other commonly eaten dishes. Learn how to manage cross-contamination in the kitchen. Experiment with one new flour and one new flavor at a time. Prefer to use healthy flours and gluten free items. Provide a balanced healthy gluten free diet. Emphasize on the positive and interesting aspects of the new diet, especially rotis. Experiment with familiar and unfamiliar ingredients and provide variety to your child.